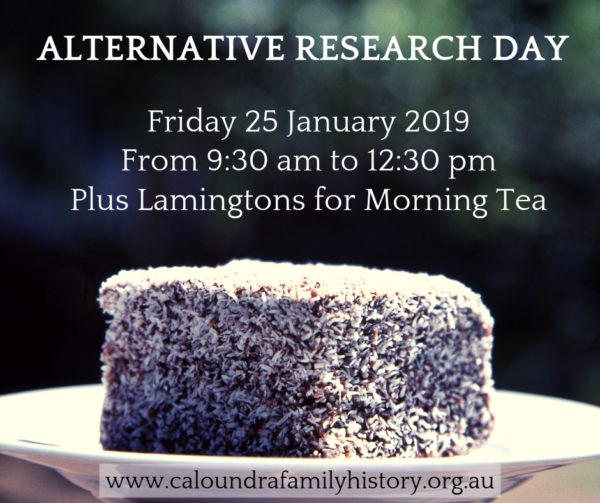 We are having lamingtons for morning tea on Friday 25 January 2019 in recognition of Australia Day. Plus the library and computers will be open for research as an alternative to Saturday 26 January. There is no research at the library on Saturday 26 January 2019. The rooms will be closed for SCTC Day Races including the Sunshine Coast Cup.